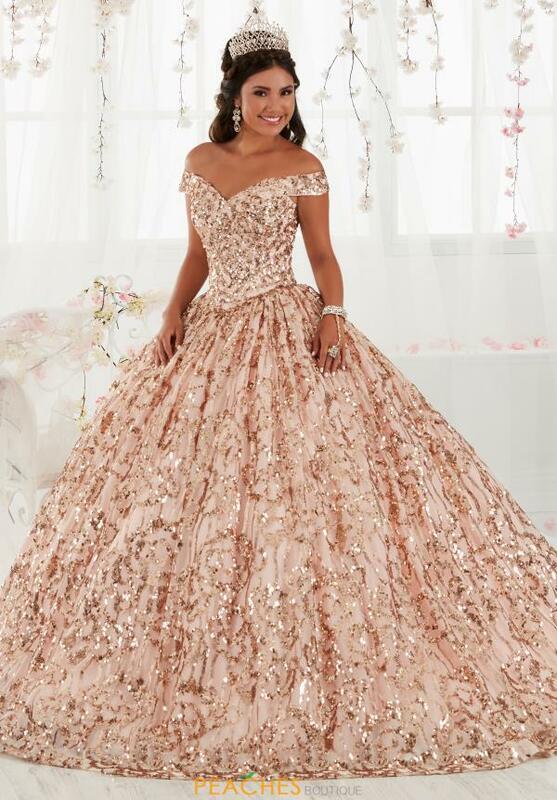 On trend ball gown 26919 by Tiffany Quinceanera is the perfect way to show off your fashion forward style at your party. This shimmering gown has a sequined bodice with an off the shoulder neckline with a lace up back. The full skirt is embellished with sequins creating beautiful floral patterns. Find this and more dazzling dresses at Peaches Boutique in Chicago.